FEATURES: Light Modes: Steady high, steady low, strobe, fancy flash, eco flash. 100% Waterproof: The Blinder MOB is IP67 Tested and 100% waterproof against all elements Button: Longer button push on (0.75sec) prevents accidental turn on. Short presses switch modes continuously. Integrated USB Plug: No charging cable required, plugs directly into USB ports & is designed to be exposed to the elements LEDs: Surface Mount (SMT) LED designed to provide maximum brightness level for up to 90% of the battery burn time for each mode. 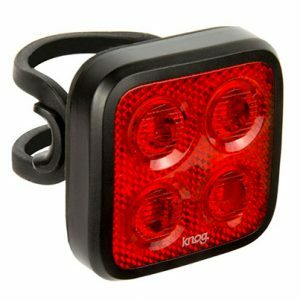 Charge Time: 4 -5 hours (LED will turn green when fully charged) Battery: USB Rechargeable Lithium Polymer Bike Attachment: Tool-less removable silicone straps for bars 22 - 32mm+ diameter. Fits Oversize bars. Accessories Included: 2x interchangeable straps for bars 22-27mm / 28-32mm+. Hi-tech gear, high-powered surface-mounted LED and lithium polymer with an inbuilt USB recharge is held in sweetly by a flexible silicone strap and clip. 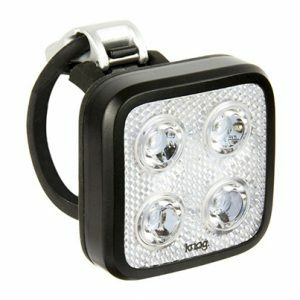 FEATURES: • USB: Rechargeable Lithium Polymer battery • Visibility: Light is visible at over 500 metres. • Burn Time: Burn time of over 2-hours in constant and up to 11-hours eco-flash mode. • Battery: Rechargeable Lithium polymer battery via integrated USB plug.